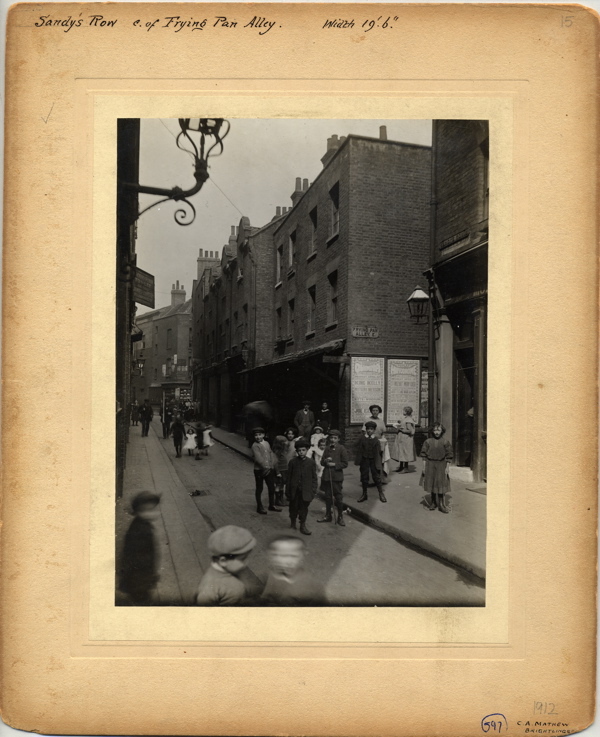 One hundred years ago yesterday, 20th April 1912, C.A.Mathew took photographs on the streets of Spitalfields. Today I publish my pictures of the same views as they are now. It is a hundred years ago this week that C.A.Mathew visited Spitalfields in April 1912, but he was present once again as my invisible guide when I walked through the close-knit streets to take new pictures in the same locations, and make a photographic assessment of the changes that a century has brought. I had copies of his pictures with me, and in each instance I held them up to ascertain the correct alignment of buildings and other landmarks that told me I was in the same spot exactly. Being in his footsteps revealed that C.A.Mathew composed his photographs to expose the most sympathetic play of light and shade, demonstrating a subtlety of tone that I dare not attempt to replicate in a different season at another time of day, in another age. Yet there was the delight of recognition when I knew I had found the right place and a sense of dislocation when there was no clue left. Disoriented, I found myself half in the world of a century ago and half in the present day. When I discovered locations that cross-referenced precisely with the pictures, I felt a sense of elation because the street acquired a whole new dimension and the people in the old photographs took on a more tangible reality, as I contemplated the places where they stood. I relished being party to this secret knowledge and I knew C.A.Mathew was with me. But equally, I recognised an emptiness in the areas that are unrecognisably changed, and recent buildings appeared mere transient constructions to my eyes that had grown accustomed to the world of 1912. C.A.Mathew forsook me in these places, and I refrained from taking photographs when I could find no visible connection. Yet I told myself to resist sentimentality, because the world that C.A.Mathew photographed two years before World War I was one of flux too, only in his pictures could it be fixed eternally. All streets belong to cars today and we cannot linger on the roadway or step off the pavement without risking our lives. A fact that became vividly apparent to me when I stood momentarily in the middle of the Bishopsgate traffic, risking my safety in my attempt to discover C.A.Mathew’s vantage point upon Middlesex St, before following his path Eastward. 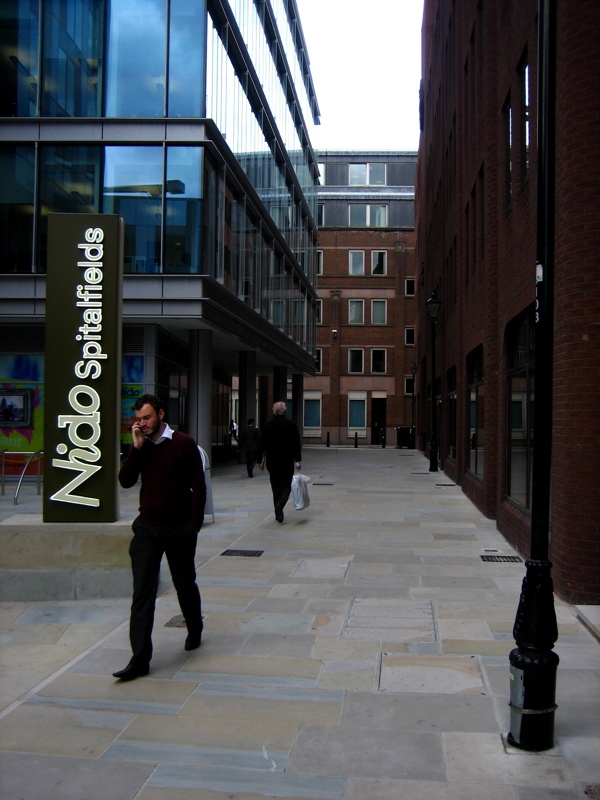 I have always been fascinated by the change of scale and atmosphere, walking from the expanse of Bishopsgate through into the medieval streets at the edge of Spitalfields. And in C.A.Mathew’s pictures this change is also emphasised by social contrast, because he found these small streets full of people that lived there. There is a domestic quality that continues to draw me back to these streets, alleys and byways which still evoke their previous inhabitants through scale and form. 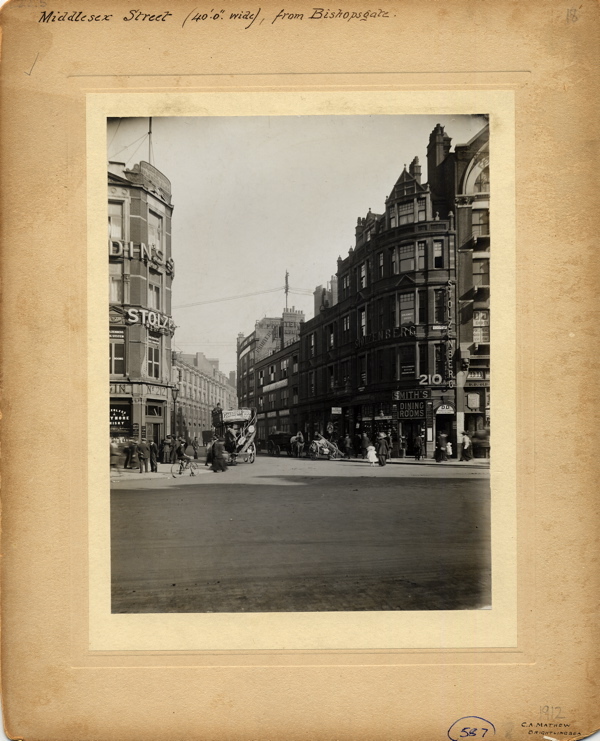 A century ago, Bishopsgate was a major thoroughfare as it is now – and both my pictures and C.A.Mathew’s show people going somewhere. However in the alleys which are no longer inhabited as they once were, people do not occupy the space with the same sense of belonging as their predecessors in these photographs. They were more at home in these streets than we are today. Unlike C.A.Mathew, my walk was on a working day and I found myself surrounded by suits, participants in the omnipresent corporate drama of the City, as hundreds of anxious business men took to the streets for a lunchtime walk in the September sunshine. They had escaped the office for a furtive cigarette, to make a private call or have confidential discussions about problems at work. Some passersby spied me with suspicious fleeting curiosity as I stood to take my pictures, very different from the people of a century ago who stood in groups to participate in the novelty of a photograph. Yet I delighted in the exotic drama of everyday life in the twenty-first century, seeing it from the perspective of C.A.Mathew. 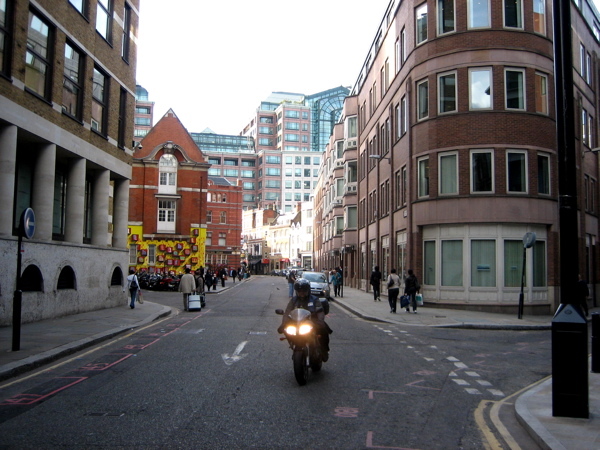 In this photograph, only the bollard on the left hand side remains from the earlier picture. 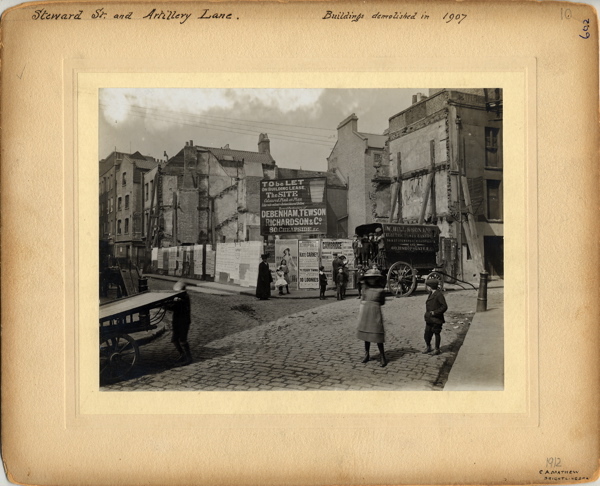 Interesting, too, to note that the camera he used in 1912, while no doubt a cumbersome affair, kept the buildings square. A modern-day lens causes the edges of the buildings to lean and bow. That was a job well done! Not easy to find the exact spot, but it certainly looks as if you have. It’s striking that the people in the original photographs are connected to each other and the photographer. They are excited and curious about having their photo taken. In your photographs the people are sometimes connecting to other people, but now it’s via a mobile phone. They scarcely seem to notice you. 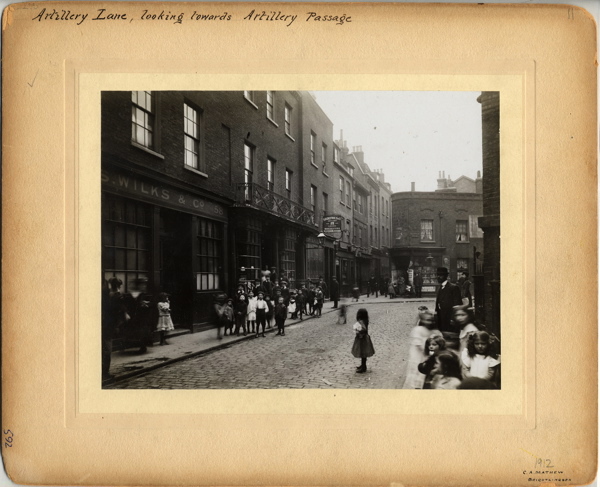 Interesting to see that in the earlier photographs most of the subjects in the streets are children whereas present day they are all adults going about their business. 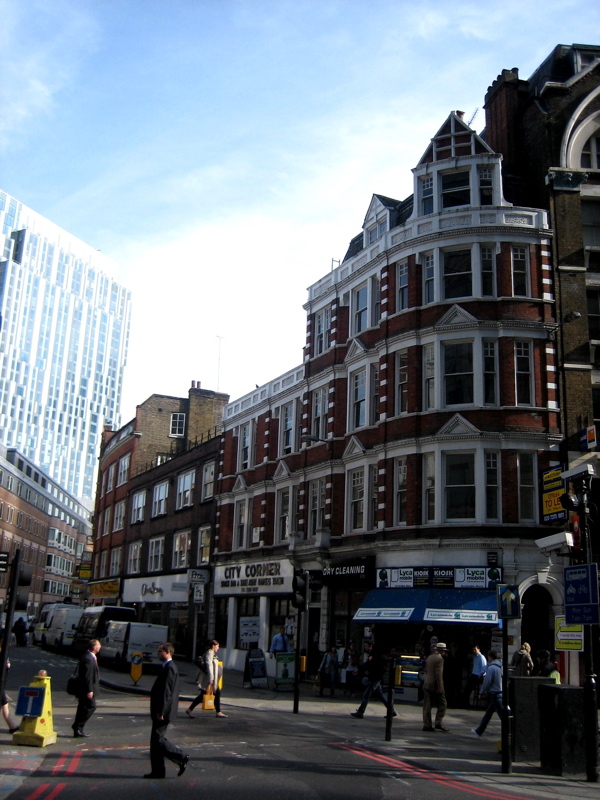 Love the name Frying Pan Alley – so original! Great post. Amazed to see how many buildings are still there . . . and above the ground floor shop levels look much the same! London is a different city when you look up! 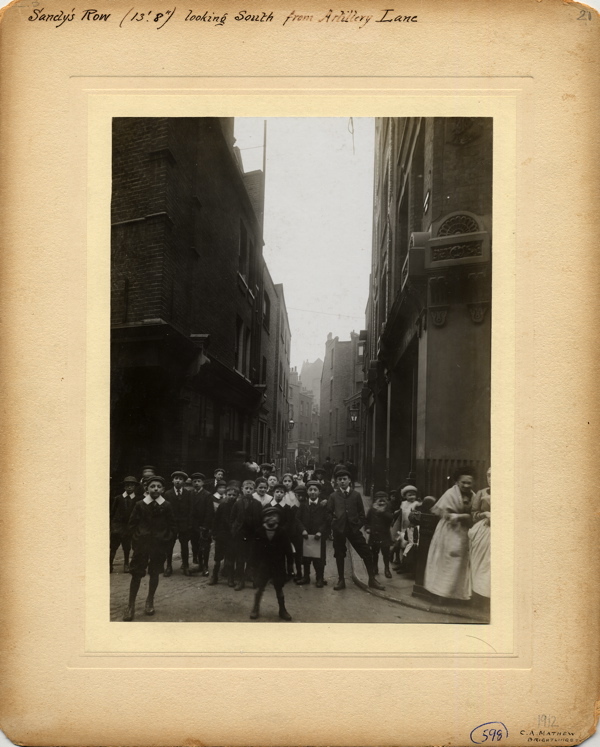 Interesting that so many of his photographs noted the width of the street. Was he doing this for some reason? Lovely but where did all the children disappear to? Sad to think it is all becoming so gentrified! I love “Then & Now” shots! Absolutely fascinating!!! I believe Brushfield Street used to be called Union Street and it’s where my 2 x great grandfather was born in about 1838. The area has changed a little bit but Christ Church is a constant. Oooh! How exciting it was to read your Spitalfield story about C.A. Mathew and look at his wonderful photographs. 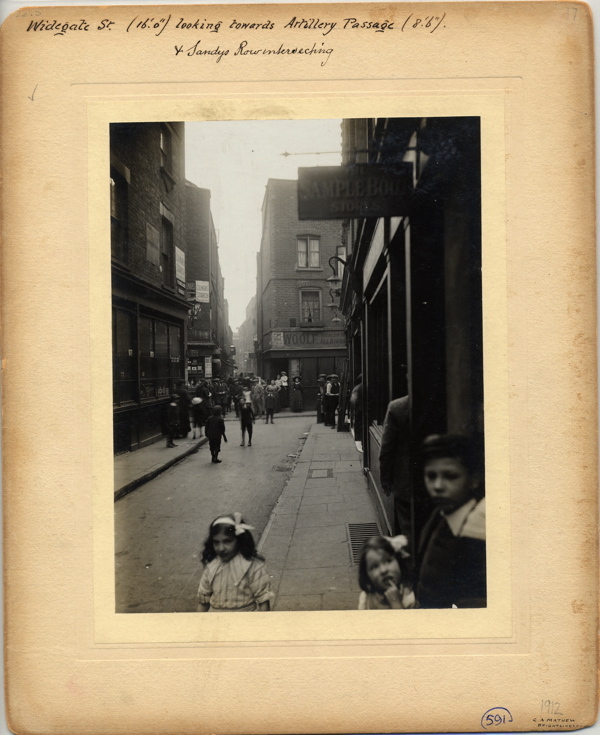 I was particularly drawn to the picture captioned “Looking down Artillery Lane towards Artillery Passage.” The name ‘Wilks’ in ” – S Wilks & Co 58″ over the shop rang a bell. Could this be a connection to my family story? With great anticipation I started to look through my research. 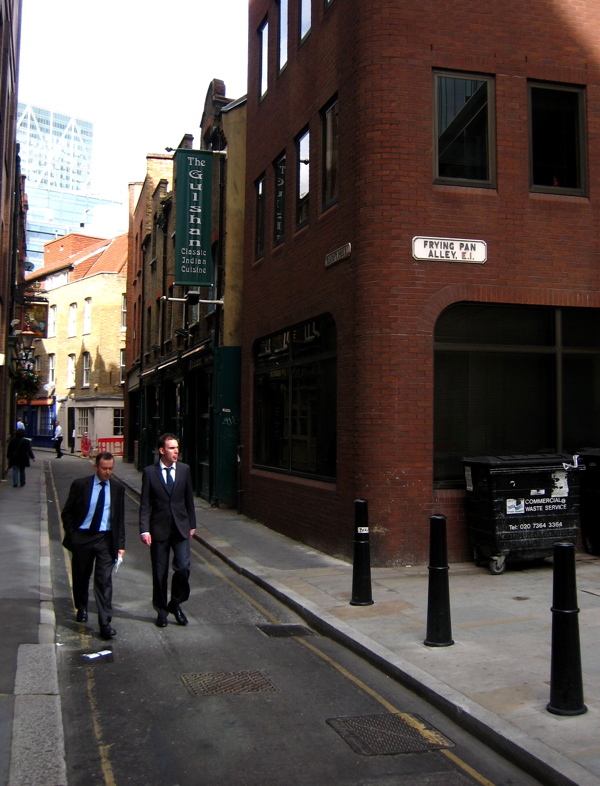 Yes, there it was, Israel Soloman Wilks a cigar manufacturer of 4 Raven Row Spitalfields in 1861; a business that was continued by his son Lawrence Soloman Wilks until his death in 1933. 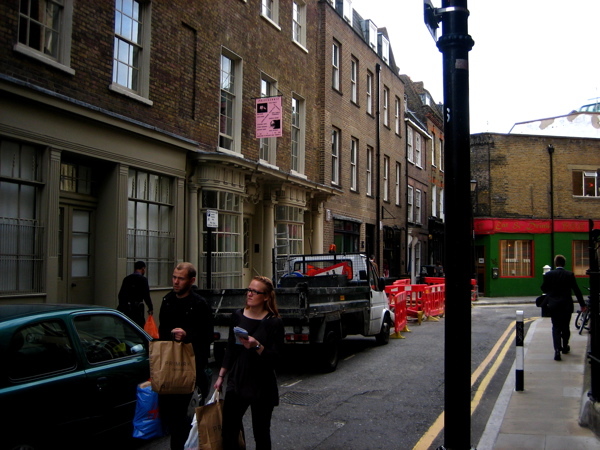 I know that today, Artillery Lane has a stretch called Raven Row, but I’m not clear which bit is which, or if Raven Row became Artillery Lane. Jumping on to Ancestry.com, I was able to track through the London Electoral Registers and in 1901 Israel’s son Lawrence is recorded at: Hurrah! 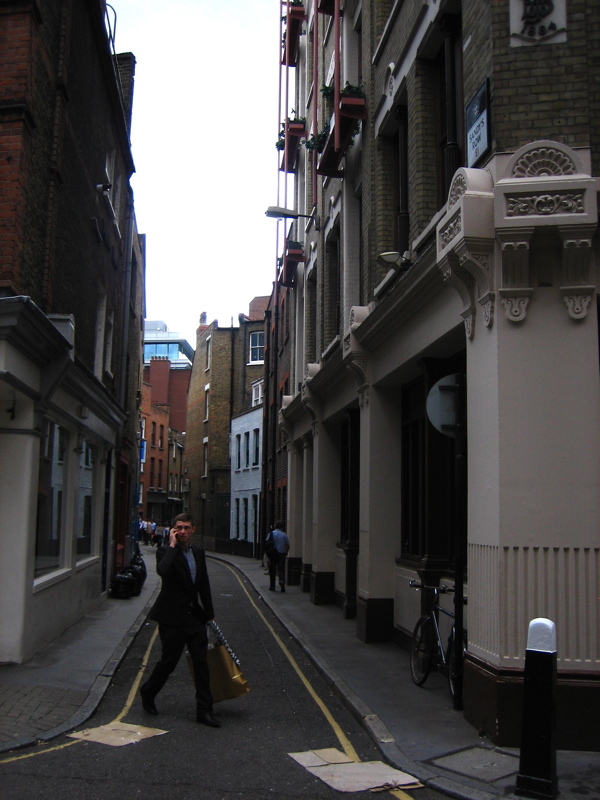 58 Artillery Lane along with Abraham Wilks. The premise is a “Warehouse”, maybe this is where the tobacco was stored and the cigar manufacturing was carried out? In 1904 the premise is recorded as “warehouse and tenement”. Business life is changing, for better or worse? The family, while still working there are not living there anymore, having moved out to the leafy suburbs of Walthamstow and Highbury. In 1912, when the photograph was taken, Lawrence and Abraham are carrying on their cigar manufacturing business, but it is no longer part tenement. 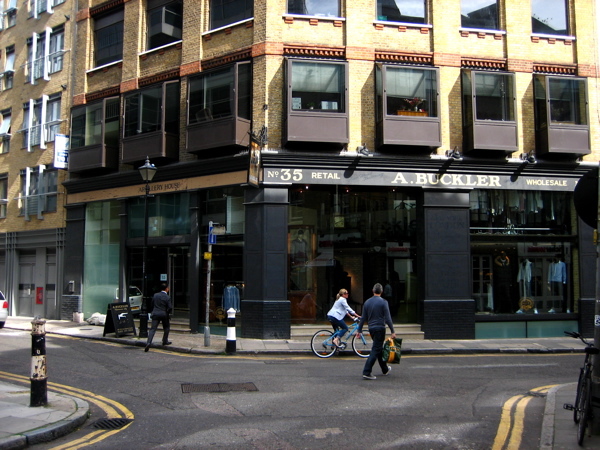 After Lawrence Soloman Wilks dies in 1933, his son, Lawrence Cormack Wilks continues cigar manufacturing in different premises at 35 – 37 Norton Folgate. Another story. The reason there are no children any more is this is no longer a residential area. It’s poignant to note that streets which once had children running around on them are now almost exclusively the domain of office workers, shoppers and tourists. 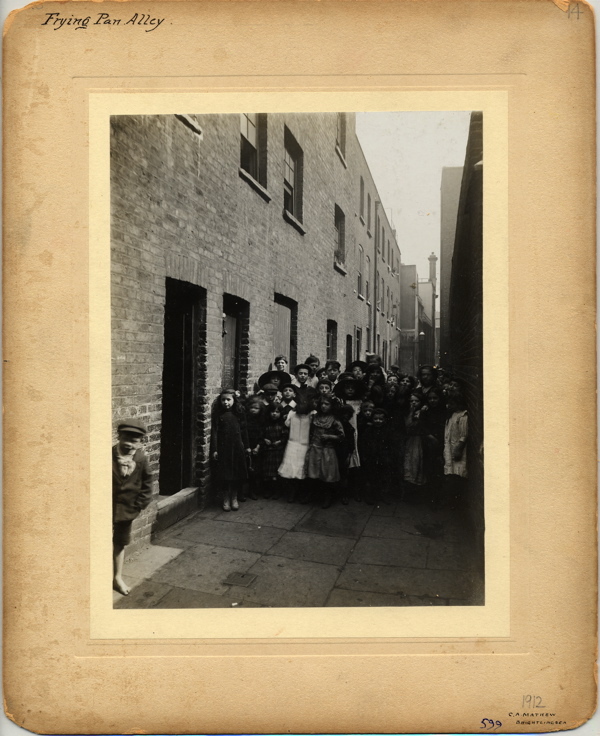 Although, while I think this is regrettable, we probably shouldn’t romanticize the Spitalfields of 100 years ago as most of the people pictured would have been living in cramped and often unsanitary conditions which we wouldn’t put up with today. Will the new turn towards “mixed development” ever again see children like these around child-friendly, car inaccessible streets and lanes like these in that part of London? 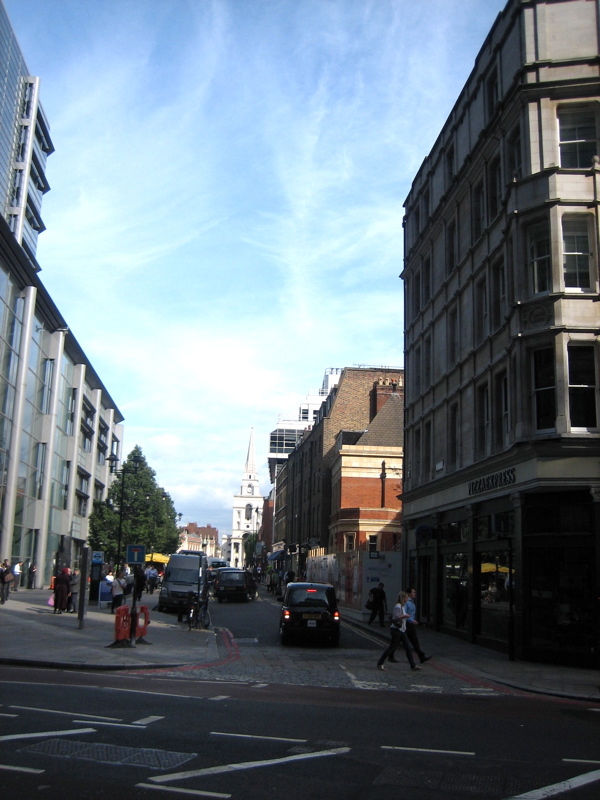 There is a hardness and uncomfortable tension in the business ghettoisation of that part of London, of the whole City of London, which eased out residential, family use….the odd yuppie pad is just not the same. The affluent modern is somehow more bleakly cold now. This is a lovely set of comparative photos. Particularly love the one of Widegate Street, thank y0u. 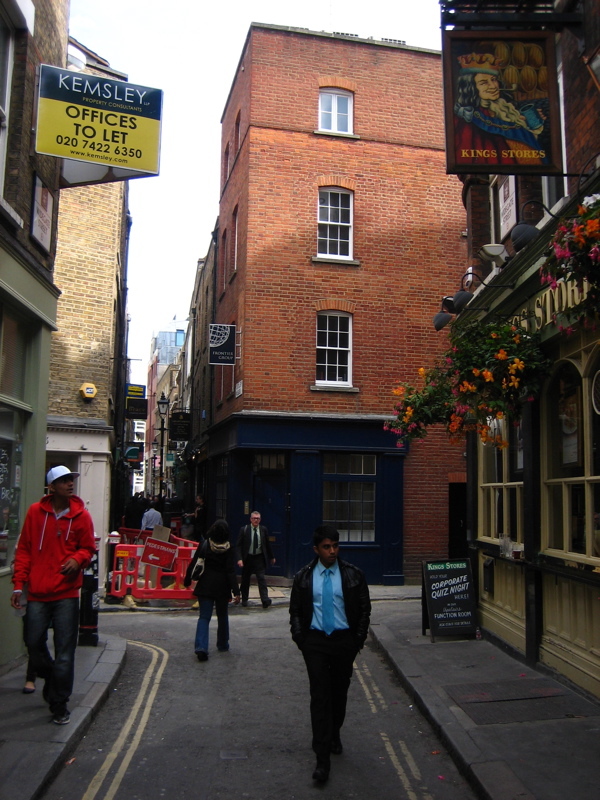 My grandfather frequented the pub, as it was next door to his shop at number 12. Cant quite see it in the old photo, but now I know how it looked in almost my fathers time. He was born in 1918. I am sure it didnt change much. Absolutely fascinating. Thanks so much for bringing a real bit of london history to life. Sad to see that areas where ordinary people actually lived – and worked – are taken over by commercial undertakings squeezing all humanity out of the area. All those people in the photos; I wonder where their families are now? I spent my childhood in and around the area depicted in these marvellous photographs. What an incredible voyage of nostalgia I have had. Great pictures.I am old enough to remember these old buildings. To all of those who have discussed how many children there were compared to now, remember that infant and child mortality were significantly higher in 1912 than they are now, and were actually higher than in the early 1800s. This led to a higher birth rate as many of those children may not have made it to adulthood. Also, this was an age where taking a photo took a long time. These kids had a chance to let allt heir friends know. Comparing a staged shot to the kind of casual, unremarkable acceptance of random street photographers we have now isn’t really comparing like with like. Added to that we are assuming that these children just lived there. A lot of them may have been working in those streets. Back in 1996, researching for the magazine Ripperologist, of which I was editor at the time, I found a large photocopy of an amazing photograph at the Bancroft Library, but there was no information on the back. 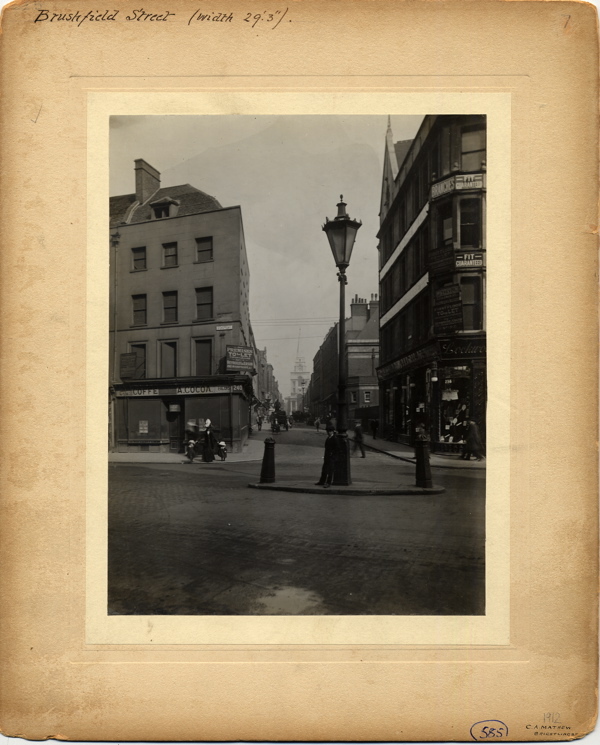 The photograph on Adam Tuck’s page of fantastic montages (though not on this page) is headed ‘In Crispin Street’ and I believe I was the first to identify the un-named pub in the photograph as originally the Horn of Plenty, which stood on the north-western corner of the notorious Dorset Street (where Mary Kelly became the last supposed victim of Jack the Ripper in room 13 Millers Court on the north side of the street). 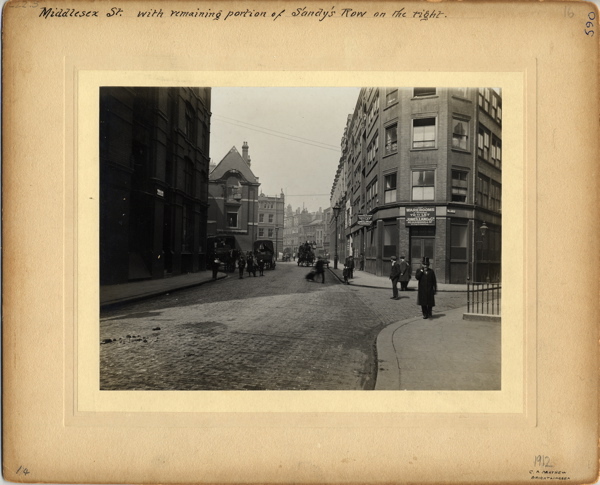 The one clue that helped identify the pub was the portico of the Provident Row Night Shelter and Refuge, just seen on the left of the original photograph (though not in the montage), which I knew very well. I thought it such an incredible photo that I published it in Ripperologist and for my trouble got thoroughly trounced by the Curator of the Bishopsgate Institute for not giving credit or getting permission to use it! At the time, of course, I had no idea of the provenance of the photo, but later saw all C A Mathews pictures, taken on 12 April 1912. I also think it was the first time the photograph had been used in connection with the subject of the Whitechapel murders. I saw a picture by C A Matthews in Amateur Photographer 5-4-14 and wanted to find the modern location on Google Earth. Typed in the name of a shop in the picture and found your truly excellent series of pictures. Many thanks for posting and congratulations on great pictures and even better detective work.